She trained in Cambridge and London and was appointed as a consultant general surgeon at the Whittington Hospital in 1996. After early work in medical education she developed an interest in quality improvement and this took her through several medical management roles to become Medical Director of the trust from 2004-2012. She was awarded an MBE in 2013 for services to the NHS. 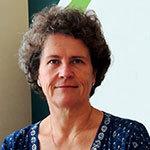 Celia is also the interim National Director of Patient Safety at NHS Improvement.